Book Blogger Hop is the creation of Jen from Crazy for Books. Since October, the weekly hop has been hosted by a variety of book bloggers all across the globe and for the next two weeks, the hop is visiting Anglers Rest! 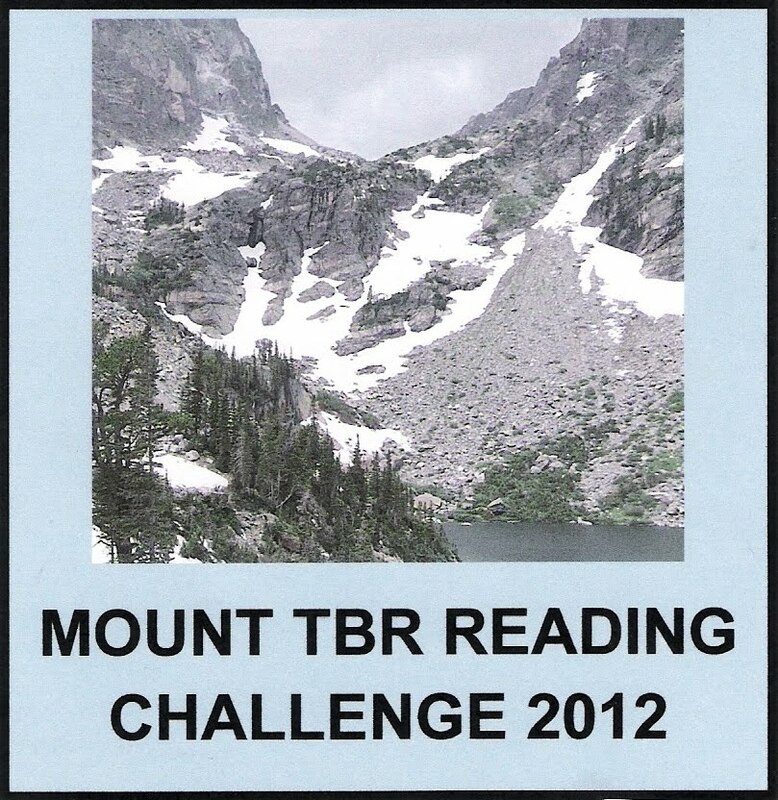 Question - Apart from being readers, many of us collect books on a specific subject or by a particular author. What books or which author do you collect? There are a couple of authors whose books I collect, mainly favorite historical fiction writers. Oddly enough, the books I collect most avidly are historical mysteries- even though I don't very often read mysteries. But I am addicted to Margaret Frazer. In particular, I love the Joliffe series, but I read the Dame Frevisse books too (partly because I'm hoping Joliffe will show up.) I also have been following Lindsey Davis's Falco series for years and years. I collect other books too. Medieval history is one topic. I'll stop there. My collections get pretty random after that. If you want to join in the hop, visit Anglers Rest to link up your own post. Link back YOUR Friday Book Blogger post and then try to visit at least 3 other sites and comment - hops are a great opportunity to meet new bloggers! When I saw that a novel of the life of Hildegard von Bingen was being released, I knew I would have to read it. 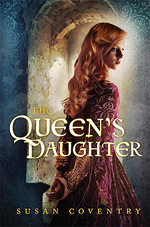 She is one of those famous, strong medieval women whose name always pops up in medieval history texts. Hildegard was an abbess, a woman known throughout the Christian world for her visions and her writings. She had such stature in her day, she even got away with occasionally defying the men of the Church. Even so, I approached Illuminations. A Novel of Hildegard von Bingen by Mary Sharratt somewhat warily. Hildegard started off as an anchorite–actually, as a companion/servant to a young noblewoman, Jutta, who was an anchorite. So, not only was Hildegard a nun, dedicated to the church from childhood, but she was walled up, secluded, in a small room alongside an abbey. She was supposed to live out her days with her magistra, allowed no other human contact except a few whispered words through a hole in the wall that served as a portal for the delivery of their meager rations of food. She lived like this for thirty years. That Hildegard could survive this and maintain her sanity is impressive and inspiring, but could it be an interesting novel? In fact, in Mary Sharratt’s skillful hands, it is fascinating. Hildegard eventually emerges after Jutta’s death. Inspired by her own visions and reinforced by the strength of her personality, supported by a few well-placed friends, she goes on to leave the anchorage and start a house for Benedictine nuns. There are obstacles in her path that she must overcome, some external and some internal. I don’t want to give away too much of the plot/life story, although the outline of Hildegard’s life is easily available if that’s all you want--google her. 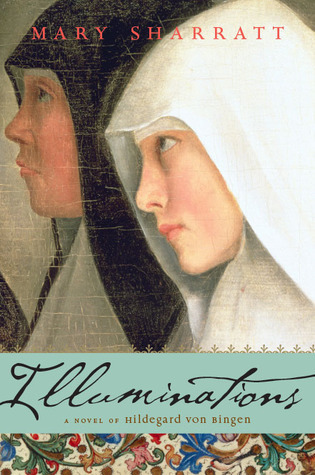 The pleasure of reading Illuminations is that is historical fiction. Sharratt reinvents the lives of these medieval people, giving them back an emotional life. She manages to make the life story of a medieval nun very interesting indeed. 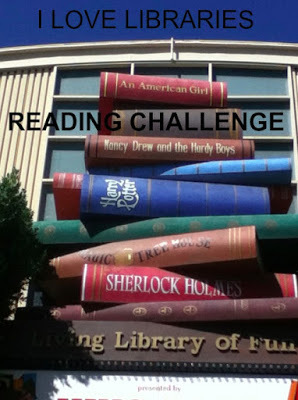 UPDATE: A list of the books I've read for the challenge and links to my reviews can be found at the bottom of the page. The challenge will run in the same way as it has over the last couple of years that H.T. has hosted the challenge. The only thing that has changed is the names of the categories. 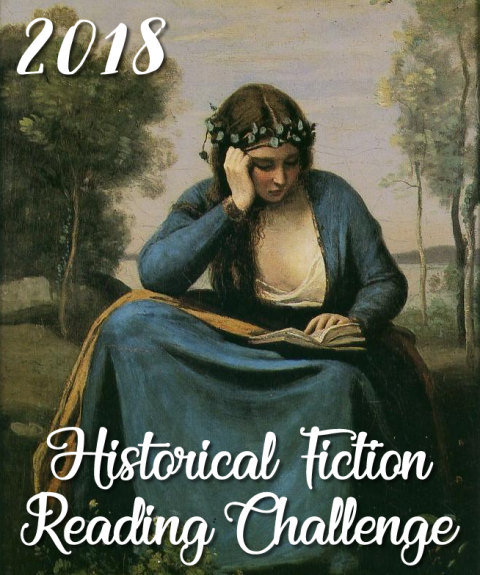 In most challenges, I shoot for the lowest level because I don't want it to become a chore, but I tend to aim high on the historical fiction challenge since I'm reading this genre anyway. Last year I aimed for 15 books. I finished the challenge early and kept on going (although I didn't keep counting.) I'm not sure if I made it over 25, but that doesn't sound like an unreasonable number to use as a goal. So I'm going for Ancient History! 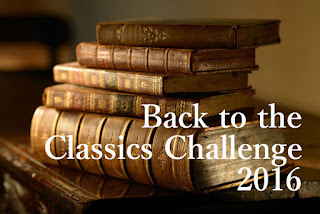 Head on over to Historical Tapestry and join us for the challenge! 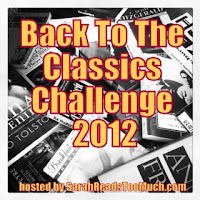 I finished the 2012 Back-to-the-Classics Challenge! Although this selection, the classic horror novel, would probably have been better suited to Halloween than to Thanksgiving, the important thing is, I had one category to go and I got it done. 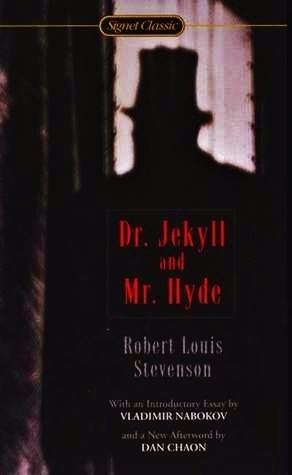 The Strange Case of Dr. Jekyll and Mr. Hyde by Robert Louis Stevenson is another one of those classics that is so deeply embedded in our collective consciousness that we all sort of know the story without really knowing it. Even kids know Jekyll and Hyde–it was an Arthur episode! But how well do we know it? There are spoilers here, so be forewarned. The worst spoiler is the big reveal that comes at the end of the book, but that’s the part that everyone already knows. Jekyll and Hyde are one and the same person: good and evil sides of the same man. While this came as no surprise to me, I can’t imagine what it must have been like to be one of the first exposed to the story. The novel must have been full of suspense for those earliest unsuspecting readers. It’s a different sort of experience now. What surprised me was not the outcome, but the structure of the book. The story is told from the point of view of a friend of Dr. Jekyll’s, the lawyer, Mr. Utterson. We hardly even see Dr. Jekyll or Mr. Hyde. We hear about them from a distance. The dilemma unfolds slowly, but it is gripping nevertheless. Utterson and a kinsman, Mr. Enfield, were on a stroll one day when they came upon a door. The door was–as Utterson knew–the back entrance to Dr. Jekyll’s home, his laboratory. Mr. Enfield was unaware of this and related a story about the door. He had seen a horrible man go in that door, one Mr. Hyde. Mr. Hyde had run down a child in the street, incurring the wrath of many witnesses, and had retreated to that door to retrieve a check to pay off the child’s parents. The check was endorsed by. . .Dr. Jekyll. Dr. Jekyll was a well-known and much beloved man of science in the town. No one knew why he would befriend such a fiend as this Mr. Hyde. Utterson could shed no light on the mystery, but he had more reason to be concerned. Dr. Jekyll was one of his clients and he was aware of the man’s will which left everything to the nasty Mr. Hyde. Time passed. My Hyde’s reputation for ill-doings increased. Jekyll seemed to be avoiding his old friends. Utterson worried about him more and more. And then, one night, Hyde commits a murder and disappears. The town considers itself well rid of him. For awhile, it seems as though Jekyll is more his old self again. But this period does not last. Jekyll retreats from society and Utterson suspects Hyde has returned. When he is forced at last to confront Hyde, fearing for Jekyll’s safety, he finds Hyde dead. A letter is left for him explaining all. The "Jekyll and Hyde" story that I thought I had known is really all contained in this short summary letter. It explains about the sinister potion Jekyll mixed up in his laboratory to allow him to separate his evil self from his good self. It explains how Hyde began to gain control and eventually took over. It’s oddly anticlimactic since the revelation comes too late and since that’s the part of the story that is so well known. And yet, I can appreciate the sensation it might have made when the tale was new. There is also, of course, reason to read the book for its strength as a literary novel. If you care to pick apart the dual nature of man, good versus evil, Victorian mores, etc, its all in there. Stevenson is none too subtle with his symbolism. I think I had been expecting something a bit more horrifying. I think I expected to suffer more with Jekyll as he spiraled out of control. But if the original intent was to keep the reader in the dark as to the identity of Mr. Hyde, I can see why this was Utterson’s story. It is, overall, a quick, enjoyable read and a classic I can heartily recommend. This (like many of my want-to-read classics) has also been on my shelf for awhile so it also goes toward my Mount TBR challenge. We’re getting awfully close to the end of the year. 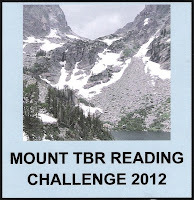 I’ve got a few books to go toward that challenge, but my others are done! I recall that way back in medical school little tidbits of history of medicine were sometimes dropped into our lectures to make things interesting. When we were learning about digestion, an anecdote was related to us about an army surgeon who studied the stomach thanks to a fortuitous abdominal wound in one of his patients. The wound never fully healed, leaving a gastric fistula–an opening from the skin directly into the stomach. The surgeon could put food in on a string and pull it out after a time, allowing him to visualize the digestive process. It’s a story that is at once repellent and fascinating. Moreover, there’s something ethically uncomfortable about the surgeon experimenting on his patient. But it’s one of the many medical curiosities that get thrown at you in medical school as you are busily trying to memorize too many facts. That little piece of information gets filed away and forgotten. And yet, precisely because of that ethical discomfort, this piece of medical history deserves more attention. Dr. Jason Karlawish, a professor of medicine and bioethics, has written a fictionalized account of the interwoven lives of the army surgeon, Dr. William Beaumont, and the patient, Alexis St. Martin. 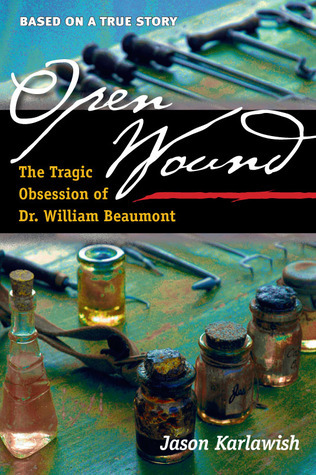 In Open Wound, The Tragic Obsession of Dr. William Beaumont, Karlawish delves into the psychology of the surgeon, exploring his reasons for pursuing the experiments and his fascination with his patient. It also lays bare the clear ethical transgressions, a problem evident to everyone except the tragically obsessed doctor. Alexis St. Martin was a young indentured servant employed by the American Fur Company in 1822 when he was accidentally shot in the abdomen at the company’s store. At first, the company employees send for the local doctor, U.S. Army Assistant Surgeon William Beaumont. But as it quickly becomes clear that his injuries must be lethal, the head of the company suggests/insists that Alexis be made comfortable in the storeroom and there be allowed to die. No one wants to be responsible for paying for his treatment if he is going to die shortly anyway. Beaumont can’t do it. He is unable to abandon a patient without attempting to provide better care. Therefore, he carts him off to the army hospital, against orders. Beaumont is firmly on the right side of this moral dilemma. The course is difficult and prolonged, but eventually Alexis recovers...almost. The fistula remains–a window into his stomach. Beaumont realizes that this is a perfect opportunity for studying the physiology of gastric digestion. And here is where things go awry. William Beaumont is an ambitious man. Throughout the course of the book, the roots of his own insecurities are explained. He needs to rise above his humble beginnings. He wants to support his wife (and eventually his children) in finer style than is possible as an assistant army surgeon. He wants to be recognized for his accomplishments. Alexis’s stomach is the means to Beaumont’s end. Alexis’s suffering, physical and psychological, are immaterial. After all, Beaumont saved his life and was prepared to support him as a charity case. Alexis owes him. The novel traces the remainder of Beaumont’s career, with and without Alexis, and relates the culmination of the experiments as well as the aftermath. We are nearly always following Beaumont’s point of view, only rarely Alexis’s. And while Beaumont tries very hard to make his own case, it’s all too easy to look back from a modern vantage point and see his error. He manipulates and belittles Alexis, rationalizing the need to do so because of the importance of the scientific contribution. It may be easy to judge Beaumont and dismiss this as an error of early 19th century medicine, except that we have to remember how often in the past, and sometimes the not-so-distant past, patients were exploited in the name of scientific and medical advancement. For anyone interested in the history of medicine or anyone who loved The Immortal Life of Henrietta Lacks and didn’t get quite enough immersion into medical ethics, you might want to give Open Wound a try. It’s a thought-provoking read. When I finished The Age of Desire by Jennie Fields, a novel of the life of Edith Wharton, I knew I’d have to move one of Wharton’s classics to the top of my list. The Age of Innocence has been sitting on my shelf for a good while, but for some reason I felt compelled to re-read the novella Ethan Frome instead. I read it in high school, and while I couldn’t remember it in too much detail, I vaguely remembered the plot. 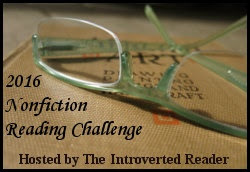 I recalled the impression of it being the bleakest, most depressing novel I’d ever read. Was it really that bad? I had to read it again. It is a downer. However, since my high school days, I’ve been exposed to a great deal of bleak reading material--not all of it fiction--so Ethan Frome didn’t retain quite the power to depress that it had back then. Set in a fictional New England town in the dead of winter, an unnamed narrator tells the story of a mysterious local figure, the partially paralyzed, physically arresting Ethan Frome. The story tells of three people trapped by extreme poverty and by cruel Fate. Ethan Frome, the "hero," married a woman he does not love. He proposed to Zeena, his mother’s caretaker, after the death of his mother, without quite understanding the significance of the commitment he was making. Ethan and Zeena both wanted something other than the poor farming life ahead of them in cold, isolated Starkfield. When it became apparent they were not going to escape, Zeena retreated into the self-absorption of chronic physical ailments, real or imaginary. Ethan, worn down by the demands of the farm and the demands of her illness, tried to turn a deaf ear to her complaints. She grew more and more bitter. He grew more and more withdrawn. And then, Zeena’s cousin, Mattie Silver entered the picture. A lively, pretty young girl, Mattie’s economic circumstances were even worse than Ethan and Zeena’s. Completely destitute, she was grateful to accept an unpaid position as Zeena’s live-in housekeeper and nurse. Of course, Ethan and Mattie fall in love. Zeena senses their growing attraction and attempts to banish Mattie. But everyone’s plans go awry and the three are trapped even more cruelly. The story is told in such a way that everything is seen from Ethan’s perspective. Zeena is a sour, scheming, hypochondriac whose only joy in life seems to be making other people miserable. Mattie is sweet, innocent, and tragically unlucky. And Ethan is stoic and accursed. However, there is more than one side to every story and this time around I had a bit more sympathy for Zeena’s position. Young Ethan seemed more pitiably weak. And I found Mattie to be a bit stupid. 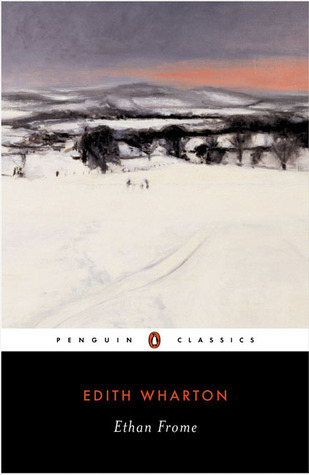 There is plenty of tragedy to go around in Ethan Frome, but I’m not so sure that it is as inevitable a tragedy as I believed it to be the first time I read it. Fate is certainly cruel to Ethan, Zeena and Mattie but their own poor decisions are just as much to blame. 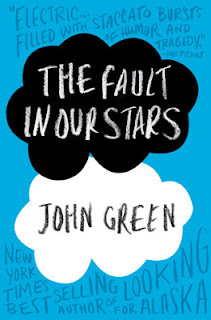 John Green’s The Fault in Our Stars has been on my must read list all year. I took it out of the library just after its release when the first burst of great reviews caught my attention, but I had to return the book before I could read it. Luckily, my son caught the Vlogbrothers bug and announced he wanted to read the novel so I bought it. I hesitated to read a book about kids with cancer just after a book about a woman with chronic renal failure, but I’m glad I decided to go ahead. The Fault in Our Stars deserves its accolades. Hazel Grace Lancaster is a seventeen-year-old girl dying of metastatic thyroid cancer. Her physicians have put her on an experimental drug that has temporarily arrested the growth of the nodules in her lungs, but everyone knows the reprieve will not last. Her lung capacity is reduced so she needs to use supplemental oxygen during the day and a breathing machine at night. As the book opens, she is depressed and thinking a lot about death. She has very supportive parents but she worries about what will happen to them when she’s gone. In the meantime, she attends community college part-time and reluctantly goes to a weekly cancer support group for teens at her local church. 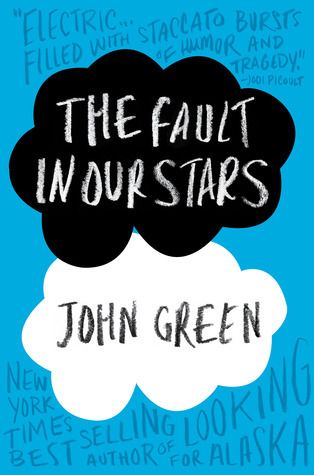 Then, one night at her support group, she meets Augustus Waters, a cancer survivor. Augustus had "a touch of osteosarcoma." He was treated and now has a prosthetic leg. His survival chances are 85%, so he doesn't really need to be there for himself. He’s attending to support a friend, Isaac, who has a rare eye tumor. Augustus and Hazel discover that they have a lot more in common than cancer. They are kindred spirits. They think alike, talk alike. They enjoy the same books, music, philosophy. They have the same sense of humor. It is inevitable that they fall in love. But there is an urgency to their relationship because they feel their mortality with a frightening intensity. They want to live life to the fullest. Augustus, in particular, wants to leave his mark. Hazel, on the other hand, wants to do no harm. This is a beautiful story about intelligent, kind, funny kids coping with pain, loss, and death. It’s realistically sad, without being depressing. It was good to spend time with people who truly appreciate the wonder of life. 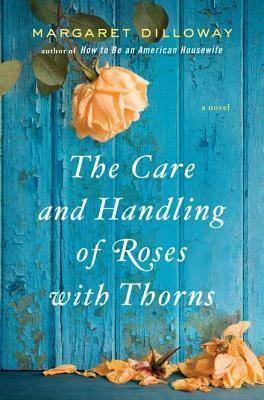 The Care and Handling of Roses with Thorns by Margaret Dilloway is a captivating piece of realistic contemporary fiction. Galilee Garner (Gal) is a thirty-six-year old biology teacher at a small Catholic school. Her life is defined by two things: chronic renal disease and a passion for roses. Gal lost her kidneys to relux when she was twelve, and two kidney transplants have failed. She has been on dialysis for eight years. Aside from feeling rotten most of the time, and spending half of her life shuttling to the dialysis center to be hooked up to a machine, she knows her days are numbered unless she can get another transplant. Life is unfair. She pushes ahead nevertheless, but she has little patience for the petty concerns of the healthy. This includes pretty much everyone else: the students who don’t put in the effort to succeed, the head of school who pities her but wants her to cut the students some slack, the parents who think she should coddle their babies, and, most of all, the older sister who threw away her health choosing a lifestyle of drugs, alcohol and parties. The irresponsible sister’s worst sin was neglecting a daughter, Riley, who is now fifteen, shunting her between an ex-husband, grandparents, and an unstable household where God-knows-what was taking place. The one bright spot in Gal’s life is a fascination with breeding roses. She wants to create a new rose that combines beauty, hardiness, and fragrance–one that will win competitions and earn her respect from breeders with greater resources than her small greenhouse and lawn patch. She wants to create a commercially viable rose. She’s an amateur up against the professionals. But it is the one thing that gives her hope and reason to live. And then, enter Riley. Gal’s sister has a job opportunity that takes her overseas. Presumably to get her life back on track, she dumps her daughter on Gal. The last thing Gal needs is a messed-up teenager to deal with, to care for, to care about. I had a hard time putting this book down. The details were remarkable and the character development was spot-on. I read the book because I have an interest in kidney disease and this showed the human toll. Gal was "prickly" – the adjective used by a friend in the book. She refused to believe she was ever wrong. She was used to being deferred to. She was manipulative. Her closest friend finally called her on her self-centeredness and Gal was, at first, resistant to admitting it. She’s sick! She could, in fact, be dying. She is entitled to think of herself. But over the course of the book, a change comes over Gal. She opens her eyes to where she has been wrong and this softens her edges to possibilities to other things in life. It’s not a 180 degree change. The book is realistic. But it’s a beautiful story about personal growth under extraordinarily difficult circumstances. The storyline also wraps itself around Gal’s attention to her roses. The metaphor is obviously there, but it works as plot, too, and is interesting in its own right. I never thought I’d find details about flower breeding and flower show/competitions so interesting. Margaret Dilloway is the author of How to Be an American Housewife, a book I haven’t read but may have to!